Today’s review is on the photograph “Tree Silhouette In Sunset“. There’s much to like about this photograph from the subtle colors and hues, to the spider silhouette of the hibernating tree. The simplicity of the shot was really enhanced by the orange sun peeking through the hibernating tree. The balance of color and silhouette truly make this a unique piece. The light fog adding moisture to the tips of the branches is a nice special affect. All in all this photograph is well balanced, framed, and composed. The only thing that may add to it would be a wider shot of the tree. Even rotating the camera for a portrait as opposed to landscape could add to this shot. The way the tree was cropped almost makes me feel like there is something we’re missing. The rays of sun are brilliant as is the overall tone. This is a fair to good shot, however I feel little more patients in the development and overall process could have really brought this vision to life. 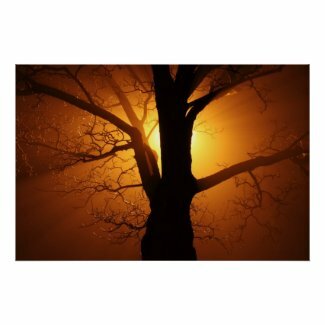 This entry was posted in Photography, Review, Sunset and tagged branches, fog, hues, photograph, review, silhouette, tree. Bookmark the permalink.